How to install the sponge? 1. 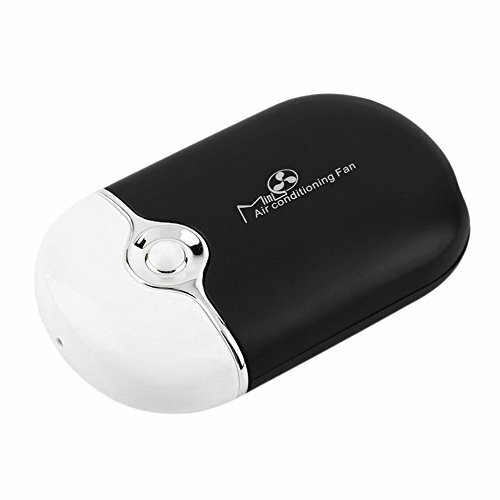 Turn off the mini fan, push the back cover from top to down, then open the cover. 2. Take out the sponge and the back cover. wash it with soap lightly. 4. Put the wet sponge in the back fan, and close the back cover from down to up. 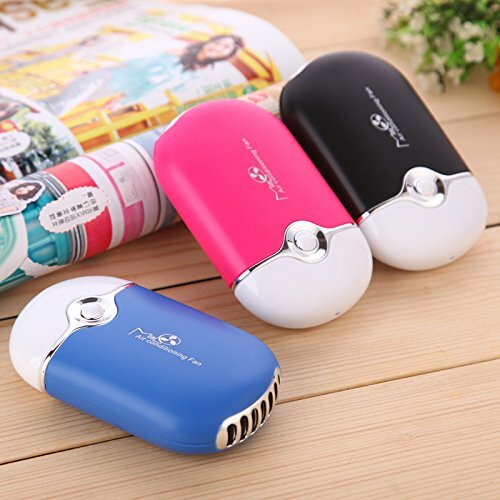 2016 newest handheld mini air conditioning fan USB portable cooler, apply to home, office and school, also great for travel, camping, hiking,etc. outdoor activities. 100% Brand new and high quality. 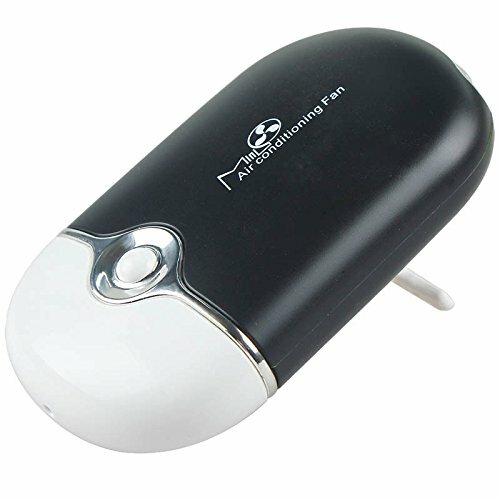 Powered by built-in rechargeable lithium battery for convenient to take it along with you anywhere and anytime; Or connecting USB charging cable(included) via computer/notebook, car charger, power bank, 5V wall USB charger, 5V solar charger etc.for high air flow &enjoy cooling function. A built-in T-shaped support for hands-free standing on desk; with exclusive lanyard to hang on your neck for easy mobility portable. Small compact design,perfect fit in your pocket, handbag or backpack. 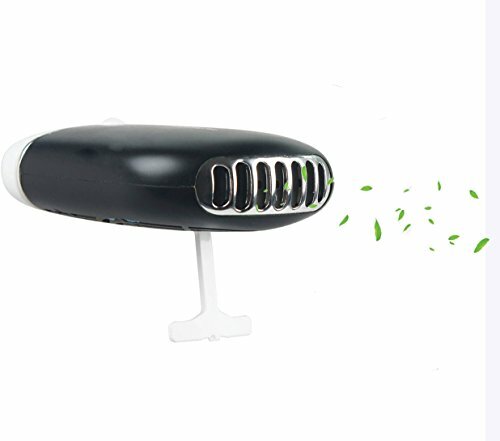 Unique 2 in 1 modes of fan and air conditioning refrigeration, which can effectively cool down 3-5 centidegrees, water-cooled sponge body simply incidental wet (to keep the water does not overflow state), into the sponge bath, and then it will blow cold wind with water vapour; Plus a few drops of essential oils on the sponge can also be as an aroma diffuser humidifier. 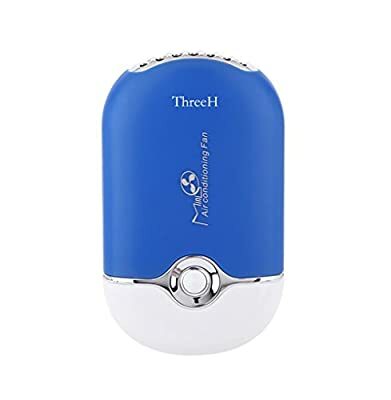 Creates smooth airflow without fast-spinning blades,much safer and quieter than tranditional fans.Eco-friendly rechargeable lithium battery, long working time and low power comsumption for constant use. 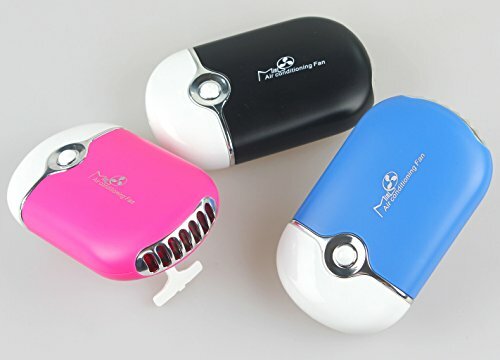 Hot summer must-have little gadget, collect one now, you will never have to be the one caught sweating!